For the Americans wondering what this new superfast Google connection is, we have all the info on the new Google fiber project for you to easily digest. Google fiber is a new high-speed network connection that completely blows cable and broadband in the US out the water. Currently, the average US home has about five MB per second, although this can go up to 50mbps in some homes, and even 100mbps if you are lucky. In Asian countries and some parts of Europe, we are already seeing deployment of fibre optics, some that go to about 300mbps, others that can reach at peak about 800mbps. Google fiber goes a step further, to 1GB per second. This, for America, is like another x10 to 4G LTE connections and will make your internet productivity and speed incredibly fast. The problem is, Google aren’t that bothered about timing and right now they want to keep Google fiber in Kansas City. A few months ago, Google’s fiber starting point was Kansas City and now it is being deployed in those areas. Google looks to push Google fiber out to the community of Missouri in the coming months, and there isn’t an expected date for the rest of the US. 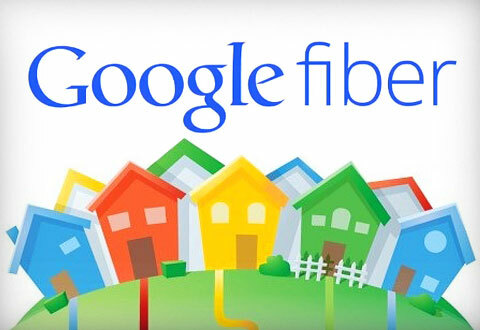 Google’s idea was that if you want Google fiber, you have to get your community involved and push the number of dedicated pledgers in your state up, so that Google fiber will move to your “fiberhood”, as they’ve taken to calling the areas of a state. This means that while one part of a state could have 1GB per second network speeds, others will still be stuck on dull old 5mbps. Fiber optics are a new kind of technology that sends light signals, or photons, through little optical cables, this light will carry data, which can be utilised to show up webpages and other media accessible on the web. Fiber optics are less susceptible to noise or problems than the typical copper or telephone ways. You can get Google’s rather boring 5mpbs box for nothing, but it will cost $300 to set up the Google fiber optics, just in case you want to move up to fiber. Fiber starts at $70 a month, with this you get 1TB of Google Drive storage and a free setup, but you do have to pay one full year for the service, in monthly packages. What is really interesting is the Full Monty package, that offers 1TB of Google Drive, a Nexus 7 tablet, Google TV with a ton of channels, a 2TB storage box for all your content, free Google setup and HDTV, but no TV included. This is all for $120 per month, a sweet deal as you get superfast broadband and Google TV. This is really aimed at speed freaks that cannot take more than five second for a webpage to load, and anything more than that just makes the whole experience annoying. Google fiber will crush any competition and is already being offered as a solution to Warner Bros and Comcast’s poor performance problem. Of course, we have to say, if you are using a laptop, phone or computer that is not connected via an Ethernet cable, your speeds are slowed to about 360mbps, not sad, but not the gigabyte speed you crave. Still, with 360mbps, we expect those webpages will load in a flash. That is Google fiber; it is coming to Kansas City and all Missouri at 2013, and moving out to other regions soon. We don’t know if it will go global, we suspect Google will keep making the network perform faster as it grows.